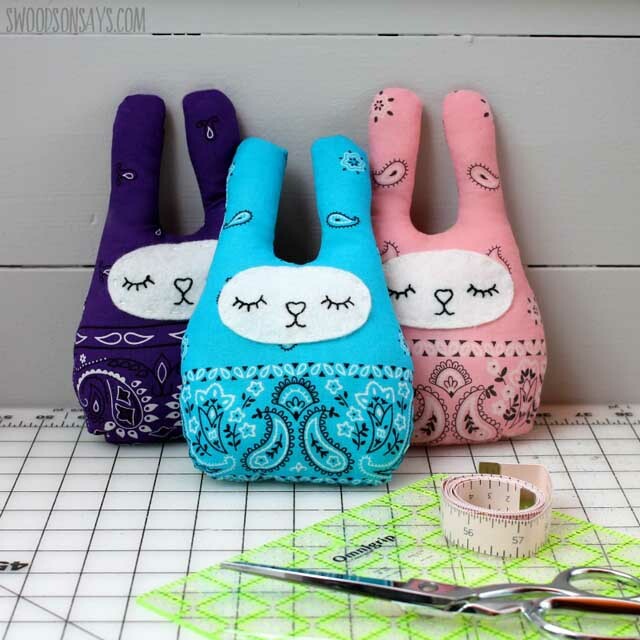 Stephanie, from Swoodson Says, shows how to make a bunny softie from a bandana. An intermediate project for a child, the bunny incorporates both machine and hand sewing. Turn the bunny to the back and there's even a cute little tail. Of course you could use any fabric, but the bandana fabric really does take them to the next level. Oh cuteness! May have to derail to make these. These softies are so sweet Pam, what a great addition to the collection!